Jamie Owen is an international broadcaster with TRT World. Before joining TRT Worl, Jamie anchored the country's most watched TV News programme BBC Wales Today. Jamie has fronted the corporation's high profile Election Campaigns, Referedums, Royal visits and breaking news stories for twenty years. He has anchored coverage of the NATO Summit, The Olympic Torch Ceremony and The Ryder Cup. As a documentary maker Jamie's recent work includes FAT v CARBS, and DO I DRINK TOO MUCH? seen on BBC World and the BBC News Channel, and also LANDROVER - the Great Welsh Idea - and THE ROLLS ROYCE GARAGE OF SNOWDONIA. Jamie has worked extensively overseas for BBC World Service Trust, BBC Media Action advising television news stations in Libya, Egypt, Jordan and most recently Berlin. 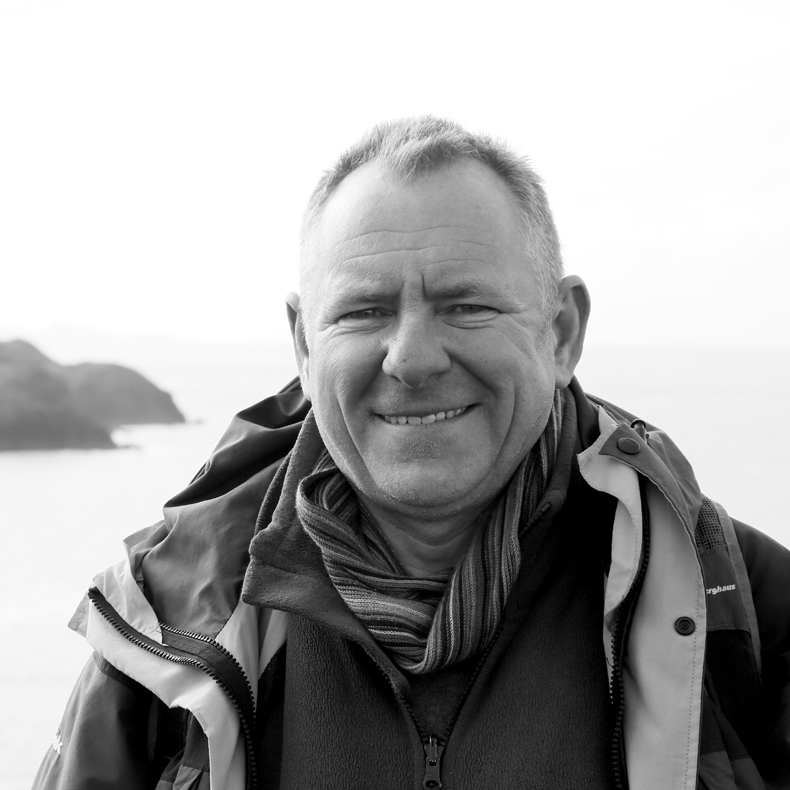 Jamie Owen is the author of five books about sailing voyages and the landscape of Wales - the most recent "The B Roads and By-Ways of Wales" is published by Random House. His next book - PEMBROKESHIRE is to be launched at the Hay Festival 2018. Jamie Owen began his broadcasting career on BBC Radio 4 where he read the news, announced The Archers and the shipping forecast. He has toured extensively with the BBC National Orchestra of Wales and narrated Prokofiev's Peter and the Wolf for BBC Radio Three. He lives in the Preseli Mountains in Pembrokeshire on a hill farm.